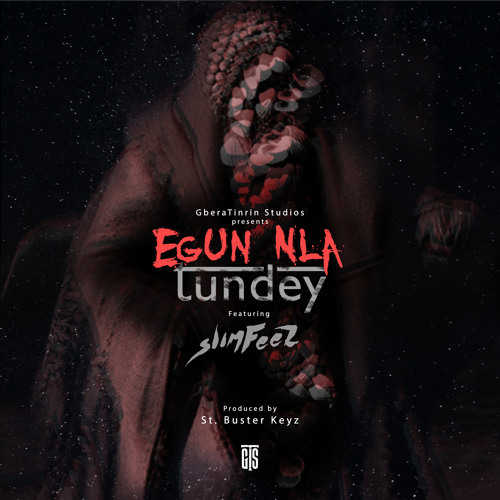 Brand new music from TUNDEY titled “EGUNLA”. He features GTS GANG affiliate SLIMFEEZ aka “OMO FEDRA”on this ST. BUSTER KEYZ produced track. Egunla is the second single from the “IGBORO” crooner in 2018. Could this be signalling an album release from the “NA E” Master this year? Enjoy this musical masterpiece but be sure to have a dictionary at hand while you attempt to decipher the message from the duo. Listen up, Download and Share “EGUNLA” with all lovers of sweet, quality music.